Home	Shooting Gear	Target Vision	Targetvision ELR (TWO MILE RANGE) WITH FREE WARRANTY! Targetvision ELR (TWO MILE RANGE) WITH FREE WARRANTY! SALE! – ELRHQ.com Provides a FREE 2 Year Bulletproof Warranty worth $39. The ELR is a fixed lens, portable, battery powered, wireless target camera system that can be viewed from a phone or tablet. This target camera has a range of TWO mile and a run time of 12 + hours. TARGETVISION is the perfect companion for long range shooters, competitive shooters, and people who are looking for a more interactive and entertaining shooting experience. 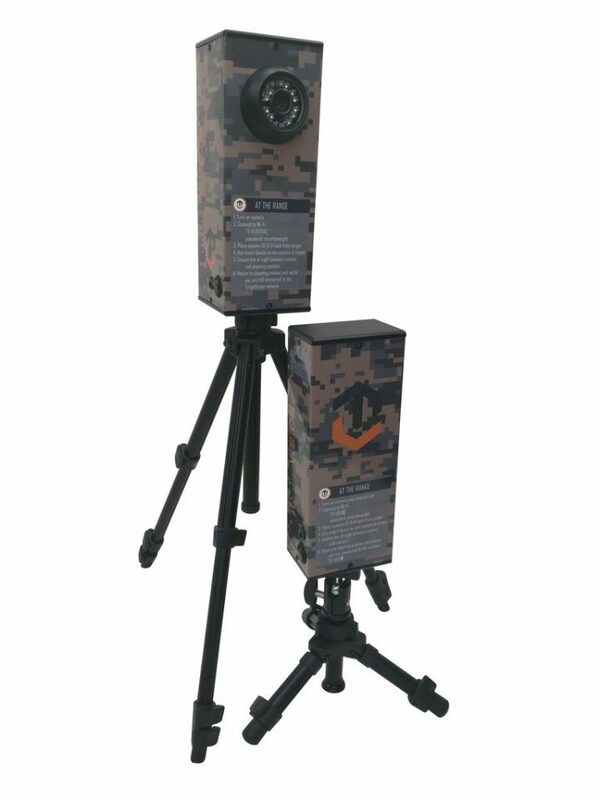 This unit is able to clearly see .17 caliber bullet holes (and larger) at any distance up to TWO miles TARGETVISION consists of two pieces, the camera/transmitter and the receiver. The camera sits down range about 10-15 feet from the target and can be moved within that range to adjust the field of view. The receiver sits next to the shooter on the ground or shooting bench.